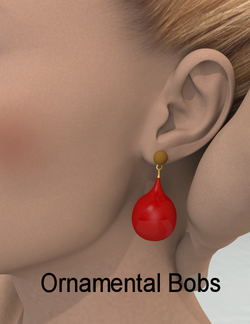 OrnaMentalBobs for V3/A3/PHF is a set of smartpropped earrings, shaped like Christmas tree ornaments. They were created by jancory for Aiko 3, Project Human Female, and Victoria 3. This page was last edited on 13 June 2018, at 00:37.